11/2014 The work by Roman Bruck on ultrafast photomodulation spectroscopy has appeared in Nature Photonics, see here for a press release. 10/2014 Our joint collaboration on nanoparticle penetration through skin has been covered by several news items, e.g. see Pharmanews, Science Daily. 10/2014 Anouska Partner, Jack Deare, Josh Pooley, Nathaniel Scott and Samuel Snell have started their MPhys research projects in our group. 10/2014 We welcome two new postgraduate researchers: Rebecca French will work on a joint PhD project on complex media with Sylvain Gigan at LKB-ENS in Paris; Marilena Kyriazi is involved in a collaboration with the Laboratory for Inorganic Nanoparticles and Applications on exploiting DNA and nanoparticles. 09/2014 Ultrafast dephasing and revival of a shaped wavefront using femtosecond pulsed laser excitation is possible, as shown in our publication in Light, Science & Applications. 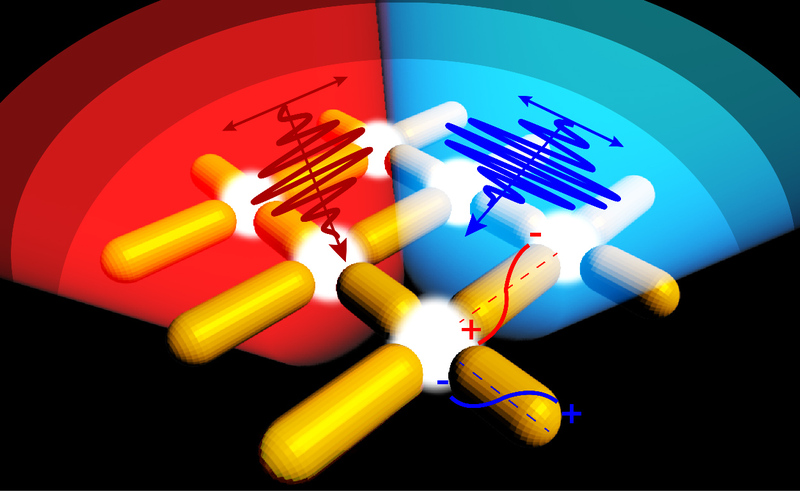 09/2014 Our work on hotspot-mediated ultrafast control of multifrequency plasmonic antennas has appeared in Nature Communications. 07/2014 A press release of our work on helium ion beam milling for plasmonic nanoantennas has appeared in SPIE Newsroom, a PDF version is also available. 05/2014 A press release of our work has been written by Nanotechweb.org. 05/2014 Our first results of the UK-France DSTL collaboration with Arnaud Arbouet on polarization conversion antennas for metasurfaces have appeared in ACS Nano. 01/2014 Martina and Yudong's work on infrared spectroscopy and molecular fingerprinting using metal oxide plasmonic antennas has appeared in Nano Letters. 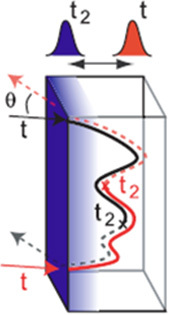 11/2013 Our numerical simulation results on the integration of nanoantennas on top of silicon photonic waveguides for coherent perfect absorption have appeared in Optics Express. 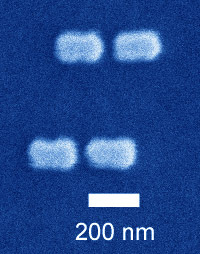 10/2013 Our work on Helium ion beam milling of plasmonic nanoantennas has appeared in Nano Letters. 10/2013 MPhys research students Amy Hearst, Charlie Martin, Henry Hughes, Laura Benn, and Rebecca French have started their projects in our group. 08/2013 The complex Nanophotonics Science Camp has been a great success. The camp took place at Cumberland lodge 27-30 August and was attended by an international mix of early career researchers, keynote scientists, editors, data artists and scientific communication experts. 07/2013 Undergraduate students Rebecca French and Liam Kiessling have started their summer internship projects in our group. 05/2013 Multidisciplinary research on functional nanoparticles in angiogenesis has appeared in ACS Nano. 04/2013 Transport of light through semiconductor nanowire mats is characterised by strong correlations and mesoscopic fluctuations, see our work in Nature Photonics. 03/2013 Our work on the epsilon-near-zero response of ITO layers has been published in Applied Physics Letters. 11/2012 Our collaborative project with Andre Utgenannt, Joe Keddie and Antonios Kanaras on nanoparticle assembly in evaporative lithography has resulted in a publication in Chemical Communications. 11/2012 Our work on hyperspectral single-particle microscopy has appeared in a special issue of Physical Chemistry Chemical Physics. 10/2012 Welcome to Leo-Jay Black, Roman Bruck, Simon Gregory and Dan Traviss who have joined our group. 08/2012 Our recent work on reciprocity breaking in random media has been covered by Nature Photonics News & Views . 06/2012 An interview with Martina Abb in Scientific American for the Lindau Nobel Laureates Meeting. 06/2012 Welcome to Holly Farnham, Tom Haskins, Ben Chichester and Alexander Wilcox, who have received summer bursaries to perform cutting-edge research in our group. 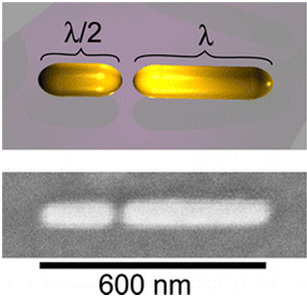 06/2012 Our work on asymmetric dimer nanoantennas has appeared in ACS Nano. 05/2012 Martina Abb has received a postgraduate student award at the Symposium on Control of Light at the Nanoscale at the EMRS Spring Meeting in Strassbourg. 04/2012 Our work on ultrafast reciprocity breaking in random media has appeared in Physical Review Letters. 04/2012 Otto Muskens has been awarded a prestigious 5-year research fellowship from EPSRC on the topic 'Complex nanophotonic and plasmonic networks for ultrafast optical devices'. 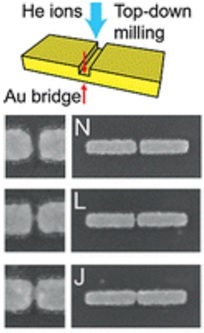 03/2012 The work of Marvin Schulz and Sabine Abb on self-assembly and plasmonic response of gold nanorods and branched nanoparticles has appeared in Langmuir. 01/2012 We are continuing our research on plasmonic nanoantennas with the support of a 3-year grant from EPSRC. 11/2011 The paper 'Interactions of Human Endothelial Cells with Gold Nanoparticles of Different Morphologies' by D. Barctzak and co-workers has appeared in Small. 08/2011 Southampton undergraduates Andrew Meadowcroft and Iain McKeeman have started their summer studentships on modeling the flow of light in nanomaterials. 07/2011 University of Hamburg undergraduate Marvin Schulz is doing a 10-week BSc project in our group on complex plasmonic nanomaterials. 05/2011 Press coverage on our recent work on nanoantenna-ITO hybrids. 04/2011 Our article on all-optical control of a single plasmonic nanoantenna-ITO hybrid has been accepted for publication in Nano Letters. 04/2011 Our work on ultrafast light scattering in nanowires has been published in Physical Review Letters. 01/2011 Our collaborative work on laser treatment of endothelial cells, together with the Kanaras group and the School of Medicine has appeared in Nano Letters. 01/2011 A Royal Society International Joint Project was awarded for a collaboration with the group of Erik Bakkers in Eindhoven. 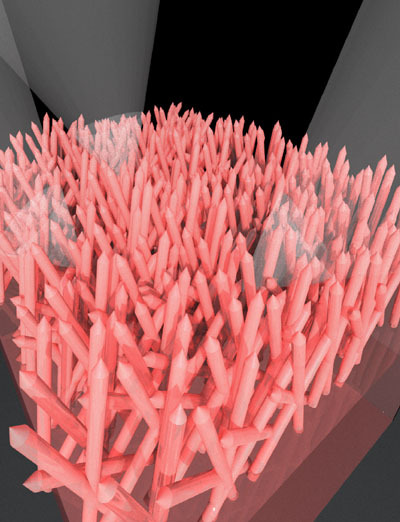 10/2010 Nanowire light scattering is featured in SPIE Newsroom . 10/2010 Tom Strudley has started his postgraduate student project on light trapping. 09/2010 Fedor Tikhonenko has started his postdoctoral fellowship in the group. 08/2010 Natasha Fairbairn has won a prize for best poster in the Optics and Photonics section of the Photon10 conference, on a collaborative project with the Kanaras and Elliott groups. 08/2010 Martina Abb has won a prize for best poster in the Quantum Electronics section of the Photon10 conference. 07/2010 A multidisciplinary grant was awarded to perform cutting edge research at the life sciences interface. For more info see the School's site. 06/2010 Sabine Abb, Claire Blejean, and Hannah Warren have started their summer studentships. 05/2010 Our work on plasmonic nanoantenna switches has been covered in a popular news item by NanotechWeb. 04/2010 Our article on nanoantenna switches has been published in Nano Letters. 03/2010 Ramy El-Dardiry's article on random lasers has been published in Physical Review A. 12/2009 Otto Muskens has received a First Grant from the EPSRC for the development of a new nanophotonics laboratory. 11/2009 Natasha Fairbairn has started her PhD research project on new nanoparticle biosensing techniques. 10/2009 Four physics students have started their MPhys projects in the group. 07/2009 Martina Abb has started her PhD research on a SEPnet project about integration of plasmonics and silicon photonics. 04/2009 Two summer studentships have been granted by EPSRC and USRG Nano for undergraduate students Hannah Warren and Alex Perevedentsev. 04/2009 The laboratories for Integrated Nanophotonics have been completely refurbished. 01/2009 Otto Muskens has started as a Lecturer in the School of Physics and Astronomy.